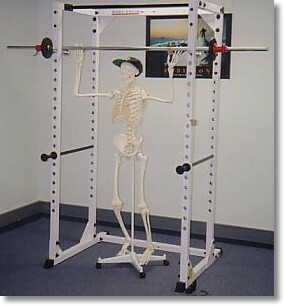 Osteoporosis Australia, estimates 1.5 million Australians suffer from osteoporosis. There are more than 50,000 fractures a year due to osteoporosis. That’s more than 138 fractures a day. 1 in 2 women and 1 in 3 men are affected over the age of 60. It’s not a matter of whom, but when, it will develop for most. Half of all women and one third of all men will suffer a fracture related to osteoporosis. The effects of osteoporosis are more deadly than all the female cancers combined. 20% of people who experience a hip fracture will die and more than half will never be able to walk unaided again or remain in their home. Regular exercise and a sensible diet, including plenty of fresh fruit, vegetables and wholegrains, calcium rich foods such as dairy products and canned fish with edible bones can help prevent and improve this debilitating condition. We will design an exercise program to increase your functional strength, helping you to maintain your independence and reduce the likelihood of falls. Research has shown that certain exercises combined with a sensible diet can also increase bone mineral density and prevent this condition from developing further.